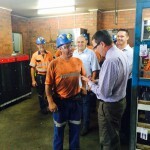 Decmil win extension of contract at Roy Hill (0) March 12, 2015 Decmil has won a contract for further work at the Roy Hill mine. Whitehaven Coal secures massive refinancing facility (0) March 12, 2015 Whitehaven Coal has secured a $1.4 billion senior secured bank facility. 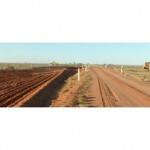 Laing O’Rourke ordered to hand back Roy Hill construction material (0) March 12, 2015 The Supreme Court ordered Laing O’Rourke to hand back construction material for the Roy Hill mine project after its contract was cancelled due to a commercial dispute. ABB to provide substation upgrade solution for TransAlta’s power station in South Hedland (3) March 12, 2015 ABB has been awarded a multi-million dollar contract to provide a substation upgrade solution for a new power station in South Hedland. 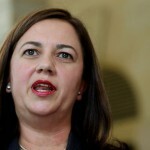 Queensland Government announces Abbot Point Terminal dumping site (0) March 11, 2015 The new Queensland government has stopped the approvals process for the expansion of Abbot Point Coal Terminal, banning Adani and GVK from dumping dredge spoil in the Great Barrier Reef. Former mining bosses gather strength for acquisitions (0) March 11, 2015 ​Low asset prices in the floundering mining sector has brought a number of former mining bosses to begin making moves to take advantage of the situation. PLD Corp acquires two mining tenements (0) March 11, 2015 PLD Corporation is set to go ahead with the acquisition of the Admiral Bay Zinc project and the Rocky Gully nickel copper project under a $10 million deal. Fire breaks out at Yallourn coal mine (0) March 11, 2015 Firefighters were called to Yallourn coal mine on Tuesday after a blaze broke out in an unused part of the operation. 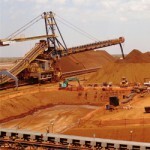 Rio Tinto and BHP Billiton defend iron ore strategies (115) March 11, 2015 Rio Tinto and BHP Billiton have defended business strategies to keep producing record amounts of iron ore despite the recent price crash. Downer to take 400 Macmahon workers at Christmas Creek (0) March 11, 2015 Good news for 400 of the 700 strong workforce at Christmas Creek 2, who will be rehired by Downer EDI. ​First automated SEM minerals analysis system installed on Australian mine (0) March 11, 2015 AXT has installed the first onsite scanning electron microscope automated minerals analysis system in an Australian mine, at the Northparkes operation. 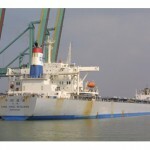 ​Guildford Coal marks first coal shipment (0) March 11, 2015 Guildford Coal has made the transition from explorer to miner following its first shipment of 6000 tonnes of coal. ​Solid Energy may collapse (0) March 11, 2015 New Zealand coal miner Solid Energy may not be financially viable, according to NZ finance minister Bill English. First gas reaches Santos GLNG (0) March 11, 2015 ​Natural gas made it to Santos’ GLNG plant on Curtis Island on Monday, marking a significant milestone which will enable full commissioning. Newcastle coal truck rollover (0) March 11, 2015 ​A coal truck which tipped over in Newcastle on Tuesday afternoon has been cleared up. 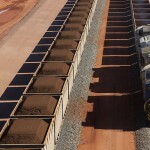 BHP Billiton talks up its iron ore productivity drive (0) March 10, 2015 BHP Billiton will today outline the productivity drives it has been pushing at its Western Australia Iron Ore business in order to produce record tonnes of the commodity. Rio Tinto upgrades coal reserves at Hail Creek mine (0) March 10, 2015 Rio Tinto has upgraded its managed coal reserves for its Hail Creek coal mine in Queensland. Iron ore price declines again (17) March 10, 2015 The price of iron ore sunk to a new six-year low last night. Analyst says Alcoa will probably keep WA refineries open (0) March 10, 2015 ​Alcoa will probably not shut any of its WA factories, according to an analyst. ​Chances high for cyclone to hit the Pilbara (0) March 10, 2015 A tropical low forming off Indonesia is likely to form a cyclone that will hit the Pilbara. Hunter Coal Festival kicks off this week (0) March 10, 2015 The Hunter Valley Coal Festival will kick off in Singleton this week with a presentation from Beaconsfield Mine survivor Brant Webb. Rio Tinto’s attack on costs to continue (0) March 10, 2015 Rio Tinto says the focus on productivity, cost reductions and capital discipline will continue as volatility in the resource sector continues. ​Miner turns to marijuana (0) March 10, 2015 The distressed junior miner scene has one explorer turning to the budding medical marijuana market. 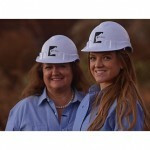 Peabody Energy director takes out top award for women in mining (0) March 9, 2015 Peabody Energy’s Janette Hewson has taken out this year’s top award at the 10th annual Resources Awards for Women. China to cut coal consumption (6) March 9, 2015 In what will be another blow for Australian coal miners, China will institute a reduction in thermal coal consumption within the next five years to cut pollution levels. Iron ore hits a new six-year low (0) March 9, 2015 The price of iron ore has dropped to a six year low. Alcoa’s global review announced, capacity cut could go badly for WA workers (0) March 9, 2015 There are fears that a whole-of-company review of Alcoa’s smelting and refining operations could affect its Western Australian assets, where 4,000 workers are employed. Prospector uncovers massive two kilo gold nugget (3) March 9, 2015 A prospector has uncovered a single gold nugget weighing in at more than two kilograms in central Victoria. X2 Resources raises $US5.6 billion (0) March 9, 2015 Former Xstrata boss Mick Davis has raised $US5.6 billion from investors in a bid to buy mining assets and launch X2 Resources as a mid-level diversified resource company. ​Grange Resources appoints new CEO (0) March 9, 2015 Grange Resources has appointed Honglin Zhao as its new CEO, effective immediately. BHP executives visit Broken Hill for heritage talks (0) March 6, 2015 Executives from BHP Billiton have visited Broken Hill to have talks with Mayor Wincen Cuy about the city’s National Heritage listing. 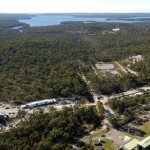 Proposed uranium mine in WA receives approval (0) March 6, 2015 Cameco’s Kintyre uranium mine has received conditional approval from WA’s environmental minister. EPA approves Gorgon expansion (0) March 6, 2015 Even before completion, the Gorgon LNG project has been given the nod for expansion to a fourth train. Rio begins office jobs purge (0) March 6, 2015 The first round of Rio Tinto’s office-based job cuts has begun, with around 100 employees estimated to have been handed their notice. New online exploration reporting system launched (0) March 6, 2015 A new online system for the submission of mineral exploration reports has been launched in Western Australia. Iron ore falls below $60 a tonne (0) March 6, 2015 The price of iron ore has fallen below $60 a tonne as China revised its growth forecast to just 7 per cent. House of Hancock DVD under attack (0) March 5, 2015 ​Gina Rinehart has returned to court to hold the Nine Network to account and prevent uncensored versions of House of Hancock from being sold on DVD. Rio Tinto’s Mount Thorley Warkworth mine approved (0) March 5, 2015 The Planning Assessment Commission has given Rio Tinto’s Mount Thorley Warkworth extension the green light. New tax breaks for junior explorers pass Senate (0) March 5, 2015 ​Junior explorers will see the benefits of the Exploration Development Incentive after it was passed through the Senate as part of the Budget 2015. Mining industry grows 8.9 per cent (0) March 5, 2015 ​National account figures have shown the significant contribution of mining exports to a 2.3 per cent trend growth for Australia in 2014. 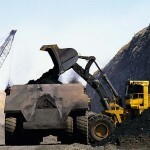 Coal prices bound for the floor (0) March 5, 2015 ​A brief rally in coal prices has again floundered, with the value of coal from the Newcastle port dropping to $68 per tonne. Newcastle receives $17m mine subsidence fund (0) March 5, 2015 NSW Treasurer Andrew Constance has announced a new fund aimed at increasing development potential in Newcastle. Downer to raise funds via note issue (0) March 5, 2015 Downer EDI has announced a new $250 million issue of medium term notes. 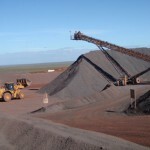 Pilbara Ports sets iron ore export record (0) March 5, 2015 February was a busy month for the Pilbara Ports Authority which exported record tonnages of iron ore and set two new records. Ukrainian coal mine explosion kills 33 (0) March 5, 2015 ​A gas blast at the Zasyadko mine in Ukraine has killed 33 workers, and a further 16 have been hospitalised. Fortescue Metals announces massive refinancing (0) March 5, 2015 FMG have announced a US$2.5 billion refinancing plan. ​Peabody announces new head of global government affairs (0) March 5, 2015 Peabody has announced Michael J. Flannigan has been appointed as the new senior vice president of global government affairs. 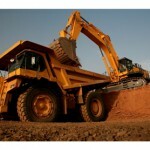 Sedgman wins mineral sands plant contract (0) March 4, 2015 Sedgman has won the contract for the engineering of a modular mineral sands plant. Anglo American celebrates tunnel boring success at Grosvenor mine (0) March 4, 2015 Anglo American’s team at Grosvenor mine is celebrating after its tunnel boring machine broke through rock 29 days ahead of schedule to complete the people and equipment drift. Talga on road to world-first graphene production plant (0) March 4, 2015 ​Australian graphite company Talga Resources will set up a world-first graphene demonstration plant in central Germany at a cost of less than $1 million. Argyle pink diamond coin retailing for a cool $8k (0) March 4, 2015 Rio Tinto’s Argyle diamond mine has teamed up with the Perth Mint to create a rare coin worth $8800. ​Glencore sees drop in earnings in latest results as Glasenberg slams iron ore market tactics (0) March 4, 2015 Glencore has announced a drop in earnings year on year, seeing a fall in EBITDA and net income in its latest results,with its CEO deriding iron ore miners. Copper thievery under investigation (0) March 4, 2015 ​A mineworker will face court later in March on charges relating to the theft of 300 kilograms of copper wire from a Hunter region coal mine. Newmont Boddington Mine offering Indigenous scholarship (0) March 4, 2015 Newmont Boddington Mine has developed a scholarship to provide financial support to Indigenous students enrolled in full-time study at Murdoch University who want to work in mining. 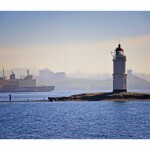 Teekay tugboats to renegotiate with BHP (0) March 4, 2015 ​After a long EBA battle which resolved in November last year, tugboat operator Teekay is back at the negotiating table, this time with BHP. The Nuts and Bolts of Reducing Downtime (0) March 4, 2015 Drilling is a costly business, whether above ground or below, so it’s important to keep maintenance times and costs to the absolute minimum. 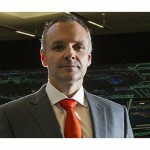 Rio Tinto launches its Big Data centre (828) March 3, 2015 Rio Tinto has launched the world’s first Analytics Excellence Centre, to aid productivity. Mining exploration takes a massive hit (0) March 3, 2015 The latest report on world trends in exploration reveals a 26 per cent decline in activity as miners responded to falling commodity prices. Indian ascetic hunger strikes against sand mining (0) March 3, 2015 ​A Matri Sadan ascetic has fasted for 13 days in protest against illegal sand mining in northern India. Soil contamination linked to combustion (4) March 3, 2015 ​An underground fire may be responsible for gas emissions detected in soils south of Chinchilla. Another day, another person in a tree at Maules Creek mine (0) March 3, 2015 Maules Creek community worker and horse trainer Ann-Marie Rasmussen is the latest activist to participate in a tree sit in protest of Whitehaven Coal’s new mine. Sandvik launches new blasthole drill rig (0) March 3, 2015 Sandvik has released the first of its new series of rotary and DTH blasthole drill rigs. ​Peabody Energy to carry out notes offering (0) March 3, 2015 Peabody has announced it will offer US$1 billion in senior secured second lien notes. Sirius signs nickel offtake deal with BHP Billiton (0) March 3, 2015 Sirius Resources has signed a deal which will see it supply nickel concentrate to BHP Billiton. 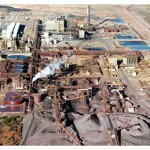 Rio Tinto job cuts to hit office staff (40) March 2, 2015 ​Rio Tinto are set to reduce staff numbers from iron ore operations in Western Australia, but the cost cutting move is plagued by conjecture. Highest gold output in over 10 years (0) March 2, 2015 Australia’s gold output has hit its highest level in 11 years. ​Bank writes off coal miner loan amidst depressed market (0) March 2, 2015 The coal industry is seeing more investment caution in its future, as New Zealand’s largest coal miner’s loan is written off by one of its backers. Yancoal posts $353.5 million loss (0) March 2, 2015 Yancoal said the continuing low cost of coal has led the company to post a full year loss of $353.5 million. ​Orica to carry out share buyback (0) March 2, 2015 Orica has announced it will carry out a $400 million share buyback over the next 12 months. BHP donates to Cyclone Marcia relief fund (0) March 2, 2015 BHP has donated a quarter of a million dollars to the Salvation Army for Cyclone Marcia relief. 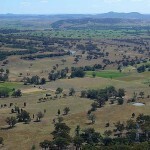 Watermark coal project put on hold (0) March 2, 2015 Just weeks after it was approved by the NSW Government, Federal Environment Minister Greg Hunt has “stopped the clock” on Shenhua’s Watermark coal project. 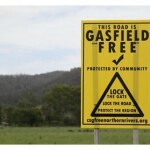 Tasmania bans fracking for another five years (0) February 27, 2015 ​The Tasmanian Government has issued a five year moratorium on fracking on the island state, while NT ramps up. 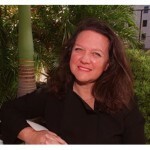 FMG executive takes out Mentor of the Year award (0) February 27, 2015 Executive director of strategy and finance at Brookfield Multiplex, Sharon Warburton has won the Mentor of the Year award at the NAB Women Agenda Leadership Awards. Leg amputated after Happy Buccaneer accident (0) February 27, 2015 ​One of the workers injured aboard a heavy lift ship on Monday has undergone leg amputation. 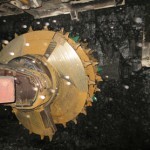 NRW wins coal contract extension (0) February 27, 2015 NRW Holdings has won a three year extension to its Middlemount coal contract. Iron magnate’s daughter no gold digger (0) February 27, 2015 ​The youngest daughter of billionaire Michael Wright was vindicated in her challenge to the family estate, and awarded $25 million in a landmark ruling. ​Gold mine tailings dam close to collapse (0) February 27, 2015 St Barbara’s Gold Ridge tailings dam is reportedly close to collapse as its water levels continue to rise. Rio Tinto reveals plans to ‘simplify’ company (0) February 27, 2015 Rio Tinto plans to condense its assets into four product groups as part of a major restructure in an effort to rein in costs. Glencore to cut Australian coal output (30) February 27, 2015 Glencore has announced plans to slash Australian coal production by 15 million tonnes this year. Worker jailed for timesheet fraud (0) February 26, 2015 A Queensland mine worker has been sentenced to 18 months in prison for a range of offenses, including defrauding labour hire companies for pay. Indigenous involvement needs policy development: Minerals Council (863) February 26, 2015 The minerals sector in Australia contributes $3 billion in native title related payments each year, according to a new monograph launched by the Minerals Council of Australia last night. Coal train derailment comes with $1 million price tag (0) February 26, 2015 The Australian Track Corporation has revealed a train derailment at Kankool caused $1 million worth of damage. Australia drops in global mining rankings (4) February 26, 2015 Australia has fallen in the global mining rankings, as the latest Fraser Institute annual mining survey shows the nation’s decreasing resources attractiveness. 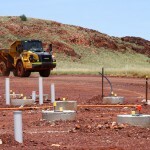 NSW miners have a wish list for the next state government (0) February 26, 2015 The NSW Minerals Council says the next state government needs to fix the planning system and restore confidence in NSW as a place to invest. Misunderstanding mental illness in mining (5) February 26, 2015 Founders of a mining worker support group have told a WA parliamentary inquiry there was a severe lack of compassion and misunderstanding towards mental illness in the industry. Rio Tinto rubbishes talks of a merger (0) February 26, 2015 Rio Tinto CEO Sam Walsh said a merger with Glencore isn’t going to happen. ​Rio Tinto to carry out off-market buyback (0) February 26, 2015 Rio Tinto has announced it will carry out an off-market $500 million share buyback. Resources Equipment sheds jobs (0) February 25, 2015 Resources Equipment has cut 41 jobs from its Welshpool Branch following a company restructure. Opportunities for Aboriginal jobs with DMP (0) February 25, 2015 The DMP will continue its commitment to creating employment opportunities with an Aboriginal Employment Strategy open day next month. Biggest ever shipment of iron ore leaves Port Hedland (0) February 25, 2015 The largest single shipment of iron ore has left the port of Port Hedland with 263,989 tonnes onboard the vessel Abigail N.
WA Mining Rehabilitation Fund now at $30 million (0) February 25, 2015 WA mines and petroleum minister Bill Marmion has commended the Mining Rehabilitation Fund as “one of the Department’s biggest reforms”. Mount Lyell copper mine to remain closed for now (0) February 25, 2015 There is no set timeframe for the reopening of Mount Lyell copper mine as low commodity prices force the mine’s owner to revaluate its plans. Macmahon posts loss on half year (0) February 25, 2015 ​Macmahon Holdings have managed to keep on the best side of their $135 million declared impairment, with a $112.5 million loss for the half year. 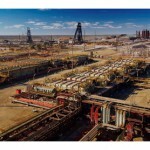 Altas Iron to be lowest cost junior (0) February 24, 2015 ​Atlas Iron have declared significant cost savings will continue through the year, aiming for annualised savings of $90 to $120 million by June this year. 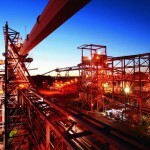 BHP Billiton to pay healthy dividend despite profit crash (0) February 24, 2015 BHP Billiton has posted a 48 per cent decline in profit due to the falling price of iron ore and oil. Investigation into Pilbara port injuries begins (0) February 24, 2015 ​The Australian Maritime Safety Authority will investigate an incident which injured two men on a ship which was moored at the Roy Hill Port. 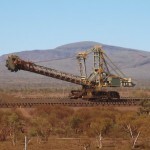 Mining deals at lowest level in a decade (0) February 24, 2015 Mergers and acquisitions in Australia’s mining sector have sunk to their lowest level in 10 years. ASCO wins BP supply contract (0) February 24, 2015 ​The new BP exploration venture in the Great Australian Bight will be supplied by oil and gas services company ASCO Group. BREAKING: Two workers injured in crane incident (0) February 23, 2015 Two workers have been injured in a crane incident at a Port Hedland loading facility. Low iron ore price not our fault: BHP Billiton (0) February 23, 2015 BHP Billiton chief Andrew Mackenzie said calls to reduce iron ore production in the light of falling prices would only work to harm the Australian economy. Mine fire traps 100 South African gold miners (0) February 23, 2015 ​Around 100 employees remain trapped after a fire broke out at the Kusasalethu gold mine in South Africa. Santos reports loss in the face of record sales (0) February 23, 2015 ​Santos reported a net loss of $925 million in their 2014 full year results, and in response have frozen recruitment and payrises. Mother and daughter arrested after coal mine protest (0) February 23, 2015 A mother and daughter have been arrested after occupying a tree for 20 hours in protest of Maules Creek mine. Strong Under Pressure: Anaerobic Thread Sealants (0) February 23, 2015 There is a multitude of thread sealing and thread locking applications throughout the oil and gas industry, and conventional methods just aren’t holding up. Vale posts record iron ore production (0) February 20, 2015 Brazilian miner Vale ramped up its iron ore production by 6.5 per cent last year. ​Largest coal mine in Russia opens (0) February 20, 2015 A new 167 year life coal mine has opened in Russia. 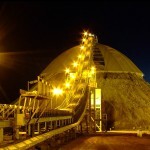 Chatree gold mine to remain closed (0) February 20, 2015 Kingsgate Consolidated has been forced to keep its Chatree gold mine in Thailand closed. Cyclone season reaches a head in NT and Qld (0) February 20, 2015 ​Two tropical cyclones are currently working their way across northern Australian coastlines. Mine protest targets Watermark coal project (0) February 20, 2015 Over 100 people marched down the main street of Gunnedah yesterday in protest of Shenhua’s Watermark Coal project. BREAKING: 40 jobs cut at Christmas Creek (0) February 19, 2015 ​MacMahon Contracting has dropped 40 staff from their crews on the FMG Christmas Creek operation. BHP to conduct reef research with CSIRO (0) February 19, 2015 BHP Billiton has teamed up with the CSIRO for a marine research partnership that will focus on the World Heritage Listed Ningaloo Reef in Western Australia. Coal haulage to resume as rail line reopens (0) February 19, 2015 The rail line at Kankool will be reopened today following the derailment of 19 coal wagons. BHP employees lose parental leave case (0) February 19, 2015 ​Two employees at the Crinum mine in Queensland have lost their case against BHP in the Fair Work Commission over their right to seek paid parental leave. 100% FIFO mines to be reviewed by new Queensland Government (0) February 19, 2015 The new Queensland Government has confirmed it will review all 100 per cent FIFO operations in the state. Mining lobby proposes new policy direction in NSW (0) February 19, 2015 ​Administration levies on exploration licences have caused a drop in the number of applications, according to AMEC. NZ coal mine collapses (0) February 19, 2015 A coal mine in New Zealand has reported a roof collapse. Maptek relaunches Orelogy open scheduler (0) February 19, 2015 Maptek has upgraded, and relaunched, Orelogy’s open scheduler as Maptek Evolution. Burgess to take lead at SACOME (0) February 19, 2015 ​The South Australian Chamber of Minerals and Energy (SACOME) has appointed a new president, with Terry Burgess due to start the job on March 1. Arrium records a huge $1.5 billion loss (0) February 18, 2015 A string of impairments due to the falling price of iron ore has seen Arrium post a first-half loss of $1.5 billion. WA miners assured certainty for royalties review (0) February 18, 2015 ​The review into mining royalties in Western Australia should be made public as soon as possible, according to mines minister Bill Marmion. ​Geoscience employment numbers fall again (0) February 18, 2015 After a slight recovery in geoscientist unemployment numbers prospects have again dimmed for the sector. Monadelphous posts profit crash (0) February 18, 2015 Monadelphous has been hit by the slowdown in mining, posting a 23 per cent decrease in net profit. 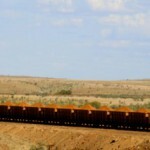 ​FMG slam Rio and BHP for ‘plans’ to flood iron ore market (0) February 18, 2015 Fortescue CEO Nev Power has pointed the finger at Rio Tinto and BHP as the culprits behind iron ore’s plummeting price. More arrests at Maules Creek mine (0) February 18, 2015 ‘Bat Attack’ protests are continuing at Maules Creek mine, with activists occupying trees in a bid to stop clearing activity. 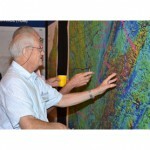 New showcase for 3D modelling developments (0) February 18, 2015 ​The Department of Mines and Petroleum will showcase the latest developments in 3D geological modelling at an open day in WA next week. 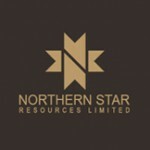 Northern Star Resources posts massive profit increase (0) February 18, 2015 Northern Star Resources has posted a massive 573 per cent net profit increase after successfully brining a host of newly acquired gold mines into production. 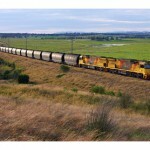 More strikes for Aurizon rail workers (0) February 18, 2015 ​Aurizon employees have announced further strikes for the rail carrier in Queensland. QRC to discuss mining deaths with top companies (0) February 18, 2015 The QRC will hold a meeting with top mining companies to discuss safety issues after a spike in the number of deaths in the industry. 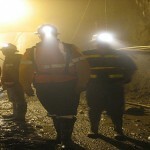 Worker dies after underground incident (0) February 17, 2015 A worker who was involved in an underground incident at Glencore’s Ernest Henry Mine has passed away. CFMEU want tyre investigation after death at Dawson mine (0) February 17, 2015 The CFMEU has called for an investigation into tyre-related fatalities after a man died at Anglo American’s Dawson mine on Monday. Captain arrested over Great Barrier Reef charge (0) February 17, 2015 ​A Chinese coal ship captain has been arrested for sailing through the Great Barrier Reef without a pilot. 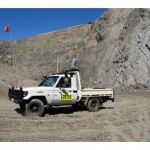 Uranium miner ERA posts new profit losses (0) February 17, 2015 ​ERA has posted a loss on net profits for the fourth year running, as the company moves closer to first ore from the Ranger 3 Deeps project. FMG posts first-half profit crash (0) February 17, 2015 Fortescue Metals Group has posted an 81 per cent profit slump due to the falling price of iron ore.
Charity status for protest groups under threat (0) February 17, 2015 ​The NSW Minerals Council have launched a new attack on coal protesters, calling for the charity status of organisations like Lock the Gate to be revoked. Mount Gibson Iron records first half loss (0) February 17, 2015 Mount Gibson Iron has posted a first-half net loss of $869.8 million due to the low price of iron ore and the closure of its Koolan Island mine. 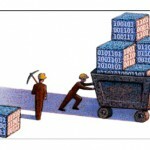 Data miners warned to stay out of DMP (0) February 17, 2015 ​The WA DMP has introduced a new system which will prevent large miners from getting the upper hand in applying for newly surrendered tenements. Iron ore price spike (0) February 17, 2015 The price of iron ore has jumped by three per cent to $65.10 a tonne. 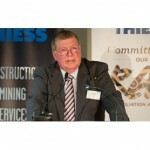 Indian police continue pursuit of Thiess boss (0) February 17, 2015 ​Allegations of cheating continue as Indian police renew their call on Thiess managing director Bruce Munro to return to the country for questioning. EXCLUSIVE: Rail bridge collapses at Rio Tinto operation (0) February 16, 2015 A rail bridge running near Rio Tinto’s Brockman 2 mine has collapsed. 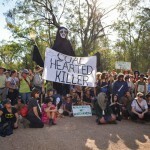 Six day anti-coal rally kicks off at Maules Creek mine (0) February 16, 2015 The six day ‘bat attack’ rally kicked off in the Leard State Forest over the weekend with activists locking themselves to bulldozers at the Maules Creek mine site. Samsung C&T hands Laing O’Rourke contract to QLD company (0) February 16, 2015 Head contractor at the Roy Hill project has transferred Laing O’Rourke’s terminated contract to Queensland company Goodline. Coal train derailment disrupts exports (17) February 16, 2015 A coal train derailment in the Hunter region could leave the track out of action until at least Friday. 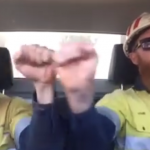 WA miners show their romantic side with Valentine’s Day performance (0) February 16, 2015 Two miners in WA have shown the world their romantic side, posting a video of themselves singing a Whitney Houston classic on Valentine’s Day. ​Rinehart to sue Channel Nine over House of Hancock (0) February 16, 2015 The battle over House of Hancock has reached a head with Gina Rinehart set to pursue legal action in the NSW Supreme Court. 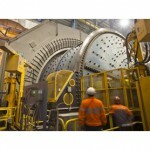 ​Olympic Dam grinding mill breaks down (0) February 16, 2015 BHP’s Olympic Dam mine has been hit again, with a mill breakdown setting back production on site. 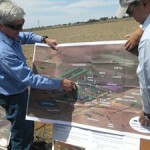 Alkane’s Dubbo Zirconia Project approved by PAC (0) February 16, 2015 Alkane Resources’ Dubbo Zirconia Project has been recommended for approval by the Planning Assessment Commission. 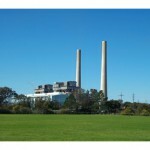 ​World Coal Association calls for investment in clean coal tech (0) February 16, 2015 The World Coal Association has called for more investment in cleaner coal technologies to meet energy demand while cutting carbon emissions. 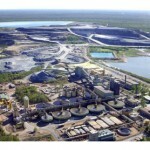 Anglo American to sell Dawson and Foxleigh coal mines (0) February 16, 2015 Anglo American has announced its intention to sell its stake in both the Dawson and Foxleigh coal mines in Queensland. ​India aims to arrest Thiess chief (0) February 16, 2015 The head of Thiess, Bruce Munro, is wanted by Indian authorities over claims of dodgy coal dealings in the nation. 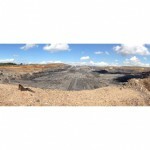 Worker dies at Dawson coal mine (5) February 16, 2015 A coal miner has been killed and another man seriously injured after a tyre exploded at Anglo American’s Dawson coal mine. Mandalong residents confront mine at community consultation (0) February 13, 2015 Local residents have confronted the Planning Assessment Commission at a consultation hearing for the Mandalong mine expansion. Rinehart House of Hancock legal action (0) February 13, 2015 Gina Rinehart has launched legal action against Channel Nine in order to seek access to the next episode of ‘House of Hancock’. 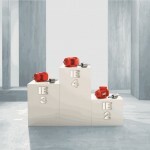 Rio Tinto earnings drop nine per cent (0) February 13, 2015 ​Rio Tinto has taken a hit of nine per cent on underlying earnings in 2014, compared to the previous year, despite a net increase of 78 per cent. 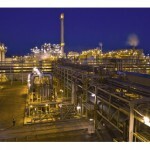 BP to cut jobs at Kwinana refinery (0) February 13, 2015 ​BP has taken the knife to positions at its Kwinana oil refinery in Perth. 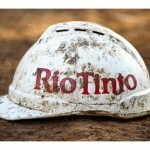 Rio Tinto to carry out buyback (0) February 12, 2015 Rio Tinto has announced a $500 million share buyback as part of its wider $2 billion capital return program. 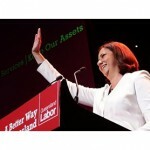 Think tank warns Qld Labor must restore confidence (0) February 12, 2015 ​The Palaszczuk government will need to step up to restore business confidence or risk losing Adani’s interest in the Carmichael coal project, IPA said. Russia to build Pacific coal export port (0) February 12, 2015 Russia will begin building a new coal export terminal on its Pacific coast to increase its exports to Asia Pacific nations. Global Divestment Day starts tomorrow (0) February 12, 2015 ​Investment in fossil fuel resources may suffer a small hit due to publicity generated by the inaugural Global Divestment Day. Santos sees massive impairment (0) February 12, 2015 Santos has advised the market of a massive $1.6 billion non-cash impairment charge in its latest accounts. Bulga Coal face fines for 2010 employee injury (0) February 12, 2015 ​Bulga Coal have been found guilty of safety breaches for the 2010 injury of an underground worker. Maptek releases new mining stockpile reporting program (0) February 12, 2015 Maptek has released I-Site Drive to allow for faster and more accurate stockpile volume reporting on mine sites. 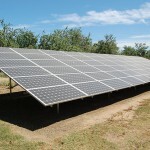 DeGrussa mine turns to solar power in $40 million project (0) February 11, 2015 Sandfire Resources has signed an agreement with juwi which will see the construction of a 10.6MW solar power station at its DeGrussa copper mine in Western Australia. Leighton profit rises by 33 per cent (0) February 11, 2015 Leighton Holdings’ annual profit has been boosted by the sale of John Holland. New South Australian gold mine gets the greenlight (0) February 11, 2015 Havilah Resources will begin mining at its Portia mine north-west of Broken Hill, in South Australia. Australian Mining is proud to present the 2015 Women in Industry Awards (0) February 11, 2015 Women are consistently achieving greatness in their chosen fields within the mining, engineering and manufacturing industries and we think their talent should be acknowledged. 200 workers let go after Laing O’Rourke lose Roy Hill contract (0) February 11, 2015 Laing O’Rourke has lost a $215 million contract at Roy Hill mine after a commercial dispute with head contractor Samsung C&T. World Nuclear Association welcomes South Australian nuclear review (0) February 11, 2015 The WNA has welcomed South Australia’s review into whether the state should expand the role of nuclear energy in the state. Hexagon launches Hexagon Mining division (0) February 11, 2015 Hexagon has launched a mining focused division on the back of Africa’s Mining Indaba. Hunter Valley Liberals step in to fight for coal industry (0) February 11, 2015 Hunter Valley Liberals visited Centennial Coal’s Myuna coal mine yesterday to fight against a Greens policy which plans to end coal mining. EXCLUSIVE: Rio Tinto iron ore to cut costs across all sites (0) February 10, 2015 ​Rio Tinto’s iron ore business is set to engage in a series of heavy cost cutting measures, according to an internal document leaked to Australian Mining. 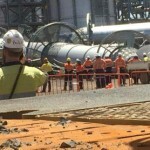 UPDATE: Worker dies at BHP Billiton’s Olympic Dam mine (0) February 10, 2015 A rock fall at BHP Billiton’s Olympic Dam mine site in South Australia has claimed the life of a 47-year-old man. 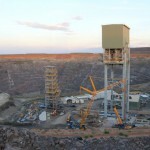 Metals X acquires stake in NT gold mine (25) February 10, 2015 Gold and tin miner Metals X is set to acquire a 75 per cent interest in the Central Tanami gold project. NuCoal takes cancelled mining licence fight to the High Court (0) February 10, 2015 NuCoal will be in the High Court this week fighting to have its corrupt exploration licence reinstated. 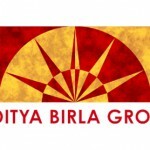 Aditya Birla appoints new CEO (0) February 10, 2015 Aditya Birla has appointed Neela Patnaik as its new CEO. 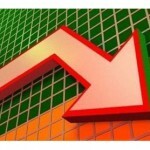 Bradken posts profit decline (0) February 10, 2015 Bradken has blamed ongoing volatility in a number of commodity and mineral markets for its 63 per cent profit decline. 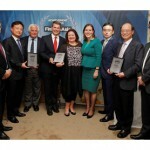 Rinehart accepts Deal of the Year award (0) February 10, 2015 Rinehart has accepted an award for Roy Hill after FinanceAsia named the project Deal of the Year in 2014. 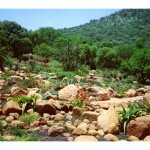 KMG closes Ridges iron ore mine (0) February 10, 2015 ​The Ridges iron ore mine in the Kimberly has been put on care and maintenance, after exhausting the high grade reserve. Investment group buys up shares in FMG (0) February 9, 2015 An investment company out of the US has taken a 5 per cent stake in Fortescue Metals Group. Mining not dead in WA (0) February 9, 2015 The West Australian government received more mining applications in the December quarter of 2014 than at any time since 2011. South Australia to consider growth in nuclear industry (0) February 9, 2015 A royal commission will examine the potential for SA to increase its role in the nuclear production cycle, announced by premier Jay Weatherill on Sunday. 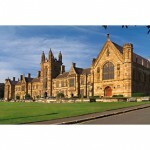 ​Sydney Uni joins the mining divestment race (0) February 9, 2015 The University of Sydney has joined ANU and the University of Maine by divesting stocks to become more environmentally sustainable. Could iron ore drop to $US30 a tonne? (0) February 9, 2015 An economist has warned that the price of iron ore could fall to lows of $US30 a tonne. 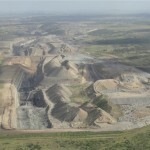 Greens plan to end all coal mining in NSW (0) February 9, 2015 The NSW Greens want to end all coal mining in the state and create a new economic model by focusing on renewable energy. ‘House of Hancock’ telemovie needed fact-checking (0) February 9, 2015 ​In the wake of the controversial ‘House of Hancock’ screening last night, Hancock Prospecting’s Tad Watroba has spoken out against the show’s accuracy. 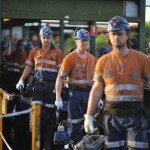 ​Anglo American cuts Drayton coal staff (0) February 9, 2015 The miner has today announced it is reducing its workforce at the Drayton coal mine as reserve levels dwindle. Australian Mining – News in Focus (6/02/15) (0) February 6, 2015 Iron ore exports are up 30 per cent; The ATO works towards self-auditing for big business; Labor reiterates policy against 100 per cent FIFO. Ravensthorpe to drop 50 workers (0) February 6, 2015 ​First Quantum Minerals will cut 50 jobs at the Ravensthorpe nickel mine, positions which are no longer required after the temporary closure in December. 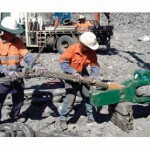 Arrium sells Newcastle manufacturing business (0) February 6, 2015 Arrium is selling its Wire Ropes business in Newcastle to a Danish firm for $90 million. Redundancies to come in Toowoomba (0) February 6, 2015 ​Around 40 to 50 workers will be laid off at the Toowoomba headquarters of Russell Mineral Equipment. Downer EDI to cut jobs as profit slides (0) February 6, 2015 Downer EDI said it may be forced to cut jobs after posting a four per cent decline in profit. ​Scientists narrow down how Witwatersrand gold deposits formed (0) February 6, 2015 New research is attempting to reconcile the many varying theories on how the world’s largest gold deposits, in South Africa’s Witwatersrand, formed. 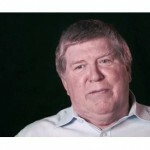 MacMahon announces $135 million writedown (0) February 6, 2015 MacMahon Holdings has announced a $135 million writedown as challenging conditions in the mining market continue to put the strain on contractors. Heavy lift failure at Browse Basin gas project (0) February 6, 2015 ​Northern Territory Worksafe are investigating a lifting accident at the INPEX Browse Basin construction project at Blaydin Point. 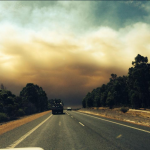 WA fire forces BHP Billiton to scale back mining (0) February 6, 2015 BHP Billiton has been forced to scale back mining operations at its bauxite mine in Boddington today due to visibility issues from the bushfire south-west of the site.